On the lower floor, there are sturdy brick arches that mark the casemated barracks where 19th-century artillerymen slept, ready to spring into action. The original one-story Barracks building was built in the 1860s. In 1905, the army used inmate labor to add three concrete stories on top of the original building. The finished structure was known as Building 64. It served as quarters for soldiers assigned to prison guard duty. An Officers' Club was also housed there at one time. Building 64 was the Military Guard Barracks from 1906-1933. When Alcatraz became a Federal Penitentiary, this building was turned into the Penitentiary Apartment House from 1934 until Alcatraz closed in 1963. New guards and their families lived in this building and most couldn't wait to get out and move into new staff quarters. Much of this building was a dark maze of apartments converted from the military barracks. Some families had spacious units with wonderful bay views and chose to stay here for years. During the federal penitentiary era, this end of the island was fenced off for the security of the families. 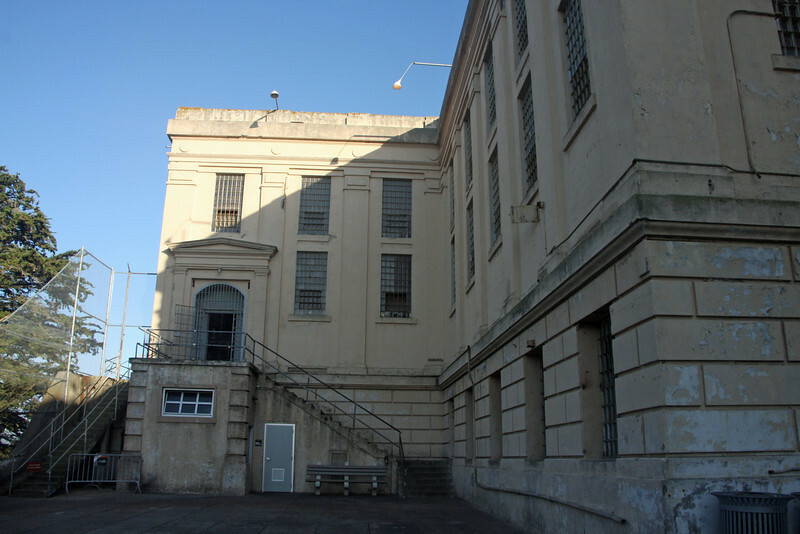 When Alcatraz became a Federal Penitentiary, this building became "Family Housing."